These wood floors were covered in urine stains that severely damaged the floors. 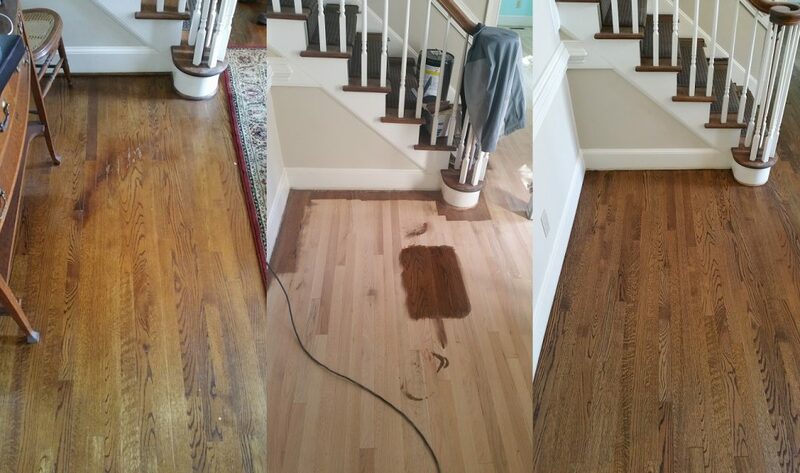 Instead of covering it up with a darker stain, the home owner opted to go the correct route and sand them down. Using our dustless process, once they were sanded down we applied a new stain color and 4 coats of our premium polyurethane! The client was extremely pleased with the end results! PSA – Make sure the company you choose is putting down at LEAST 3 coats of polyurethane. Always ask!